Description: The Kingdom of Rolencia sleeps as rumours of new Affinity Seeps, places where the untamed power wells up. By royal decree all those afflicted with Affinity must serve the Abbey or face death. 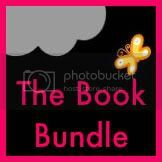 Sent to the Abbey, the King's youngest son, Fyn, trains to become a warrior monk. Elsewhere others are tainted with Affinity and must fight to survive. Political intrigue and magic combine in this explosive first book in an exciting new fantasy trilogy. My thoughts: I have to say it was very frustrating reading this book. I love a fantasy series with political intrigue and I'd thought that would be what I was getting with this. Right from the start though I was disappointed. The story starts with Byren on a hunting trip, and he soon hears the prophecy that he will kill his twin. Readers are also introduced to younger brother Fyn, training to be a monk because of his magical ability, and little sister Piro, still very much a child in the eyes of those around her. The story focuses on Byren & how events develop because of the prophecy and something that happens with his friend early in the book. Byren did annoy me a bit - I never saw him as the inspiring leader other characters supposedly see him as. He made some poor judgement calls that I just couldn't understand. Fyn was more interesting to read about but the schoolboy squabbles and bullying at the abbey were the sort of thing I find quite boring. Piro was my favourite, and I think will be an interesting character to follow in the next book. She had the most character development over the book. I was incredibly frustrated with the author's style though. The writing just felt a bit clunky, and although the plot was good, I think it's really been let down by the storytelling here. I felt like the author did a lot of unnecessary 'telling' - a character would say something to themselves that had already been implied, for example. If it only happened a few times I could let that go, but it came up again and again. I did enjoy the plot, but I often found myself skimming pages so that I could find out what was going on without having to actually read it. Because of the plot, I'm giving this 5/10. I would read the sequels, but they are a long way down my list of bookish priorities at the moment. I don't have all the notes I took, because I wrote some of them in the 'pocket' (ha) program, and threw it out before I remembered that. Oops. So here's an overview of some of the program events I went to from memory & the notes I did manage to bring back. 1) I went to some great panels. One was on blogging, with Liz de Jager (formerly of 'My Favourite Books') and others, where they discussed the uses of book blogs and things to include in reviews. 2) While discussing subverting genres, Pat Rothfuss pointed out that you "can't subvert something that doesn't exist yet. You can't get stuck in a rut that isn't there." The panel were discussing aspects of fantasy novels which might/might not have been overdone. In a similar panel later, a panelist said that "No new stories" might actually mean "lots of old plots." I think that's a great way of putting it - there are so many old stories that its hard for a book not to have something vaguely relating to a predecessor in it. 3) I went to a fascinating panel about food in fantasy. Every place has food rituals, regardless of what the food is or how its prepared, said a panelist, which I think would be something really interesting to think about in future stories I write. 4) On Friday night there was a sff version of radio game I'm Sorry I Haven't A Clue, which was very funny. I've listened to the show for years and it was great seeing a fantasy twist on the answers. There were so many great things, and great panelists to listen to (Joe Abercrombie & Scott Lynch being two of my favourites). There was also an interesting fan area where they held parties, and other things. I liked hanging around there in the evening, just soaking up the atmosphere. Overall, it was a great experience but I think I might try to make my next con a smaller one! My thoughts: I read this book way faster than I meant to. The story starts with Kit facing a man in her office. She knows he's a shapeshifter, he's a strong one, and he's someone she doesn't want to be anywhere near. By the end of the meeting, she's working a case, and he's on board as her information guy and security detail. It's exactly the kind of start I love in an urban fantasy novel - jumping straight in to the dangerous situation, and characters who have to be around each other while not actually getting along. The kid she has to find is the adopted son of the local shapeshifter queen - a dangerous woman who Kit learns in a personal meeting is also completely crazy. If Kit doesn't find the boy soon, the queen will take out her anger on her, instead - and Kit knows she won't survive that. So she gets to work calling in contacts to try to trace the missing boy. The story moves at a fast page, which I enjoyed, taking Kit and her companion from one dangerous situation to another. Thankfully, it also has little rest periods where she meets up with friends in safe places, which acted as places in the story for me to catch my breath. I think J C Daniels has really nailed the pacing with this one. Although this is an urban fantasy, there are some steamy dream sequences and a strong romance plotline. One of the things I really disliked about the book is to do with the way the romance plot goes at the end of the story. I won't give anything away, but as this is the first book in a series, I'm a bit unsure about whether I'll like the later books as much - I don't feel like the author has left herself anywhere to go with the romance line. It will at least have to have a definite shift in direction in future books. Overall, I did really enjoy this story, and I do plan to read the sequel sometime, although there are quite a lot of other books ahead of it in my queue just now. As an urban fantasy, it races along, and I think the world J C Daniels has created is very interesting and I look forward to learning more about it and the magical races who people it. Overall, I give Blade Song 8 out of 10. Source: Promotional copy from publisher at WFC '13. I got sucked in to this book and read it pretty quickly. Kelsea has ben raised in isolation by her foster parents, allowed to read many things but kept ignorant about a lot of the recent history and politics of the kingdom. So she's intelligent, but has large gaps in her knowledge. As the story progresses, and Kelsea learns more about the decisions her mother and uncle have made to try to keep the kingdom 'safe', readers start to see that her aunt & uncle most likely kept her ignorant so that she could make decisions based on her, not on the political histories that sometimes push the edges of 'right' and 'wrong'. There are some pretty horrible things happening in the kingdom, and Kelsea is determined to fix as much as she can. The time setting of the novel is also interesting. Technology has risen and fallen again. The book is a bit vague on some details - at some point there was 'The Crossing' from somewhere to the world they now live in - on this journey, a lot of technology and medicine was lost. So although they are aware of some things that used to be around, there are gaps in their knowledge and the facilities to produce such technology and medicine again. For instance, Kelsea knows red hair like hers is a recessive gene. But, they are living in almost European medieval conditions because of the materials they have access to. 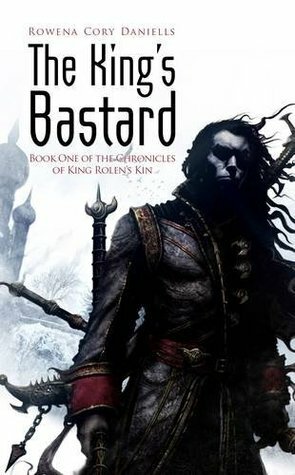 It's very much a story of 'the young hero comes out of hiding and sets the kingdom to rights', which might be a repetitive story for some, but there are enough unique aspects that I still found it interesting. There's an evil queen in a neighbouring land who has been happily taking over countries for a while, and suddenly finds Kelsea a threat she was not expecting. There are hints of magic, and in some areas, like for the queen, this seems normal, but to Kelsea and those in her country it's a very odd occurrence which they can't seem to explain. I really enjoyed the story, and found that Kelsea, without knowing the political recent history of the country, was a very interesting heroine for the book. I'll definitely be buying the next one when it comes out. In some places, things seemed a little too easy for her, which I wasn't too sure about, but overall it was a very good book. 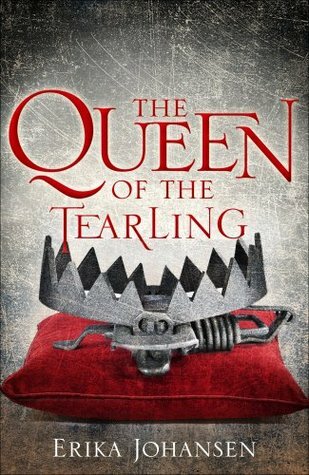 I give 'The Queen of the Tearling' 8 out of 10.